Waterbound brings you Celtic and traditional music whose spirit lives in the Misty Isles. 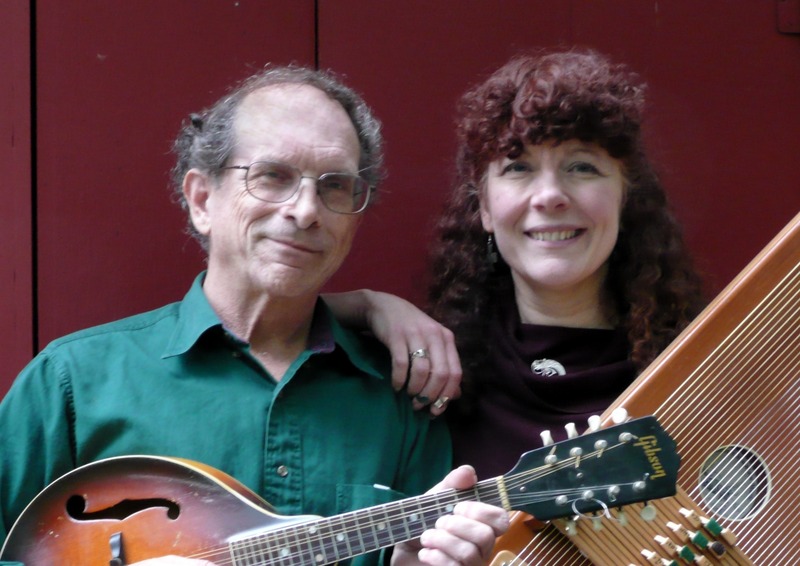 Steve Akerman and Mimi Geibel perform an amazing diversity of melodies that will touch your heart, including traditional Irish & American songs, fiddle tunes, waltzes, jigs and reels. Playing mandolin, octave mandolin, Irish banjo, violin, and autoharp, they will carry you on the high seas of the restless heart. "No matter what they play, Waterbound is always wonderful"
"I look forward to their sets every time I hear them, they have such energy and talent." "You all are just one of the highlights here. I can't imagine Yakima Folklife without you!" "We always make sure we stay to hear you!" Steve and Mimi's Newest CD! "Heartland" is Waterbound's newest CD! This musical landscape of the heart is filled with tunes that will resonate on your heartstrings, and raise your spirits. There are waltzes for lovers and dreamers as well as melodies so beautiful your eyes will fill and you will take the hand of the one next to you. It includes a number of Steve and Mimi's "vertical medleys"; tunes layered upon one another for greater depth and complexity. Released and showcased for the 2008 Willamette Valley Autoharp Festival, "Heartland" has received raves from everyone who has heard it. "It's so beautiful I can't stop playing it", "This just gives me chills each time I hear it." Tunes include: "Road to Lisdoonvarna", "Lover"s Waltz", "Shepherd's Wife's Waltz", "Rights of Man", "Bonaparte Crossing the Rhine Suite", "Far Away", "Cheat River Waltz", "Heart of the Heartland", "Anna's Waltz", "Josefin's Waltz", "Whiskey Before Breakfast Variations", "Farewell to Whiskey", "Hewlett", "Ookpik Waltz", "White Buffalo", and Mandolin Solo "Sonata I" by JS Bach. Steve and Mimi's First CD! Finally, the magic of Steve Akerman and Mimi Geibel's music is now on CD. Taking advantage of all the variety of instruments they play, this CD shows their musical variety and depth. Tunes on the CD come from numerous places; some traditional, some original and some from pretty amazing songwriters, such as Utah Phillips and Bill Staines. On our website: http://waterboundmusic.com, you will find lyrics for the songs. Some of the tunes found on the CD are: Shebeg Shemore, The Oregon Trail, Bill Bonney, Waterbound, Road to Lisdoonavarna, Orphan Train, Swallowtail Reel, The Puncheon Floor, Crossing the Water and 6 others! "You have to have this CD! It will blow you away; it's so wonderful!" To order: contact Steve Akerman at Bluemando@aol.com or 206-244-0342. In 2008, Waterbound was honored by being invited to play the evening main stage at the annual Willamette Valley Autoharp Gathering, the largest autoharp festival west of the Mississippi. This privilege is usually reserved for contest winners and bands on the national touring circuit so it was even more remarkable that Waterbound was included. 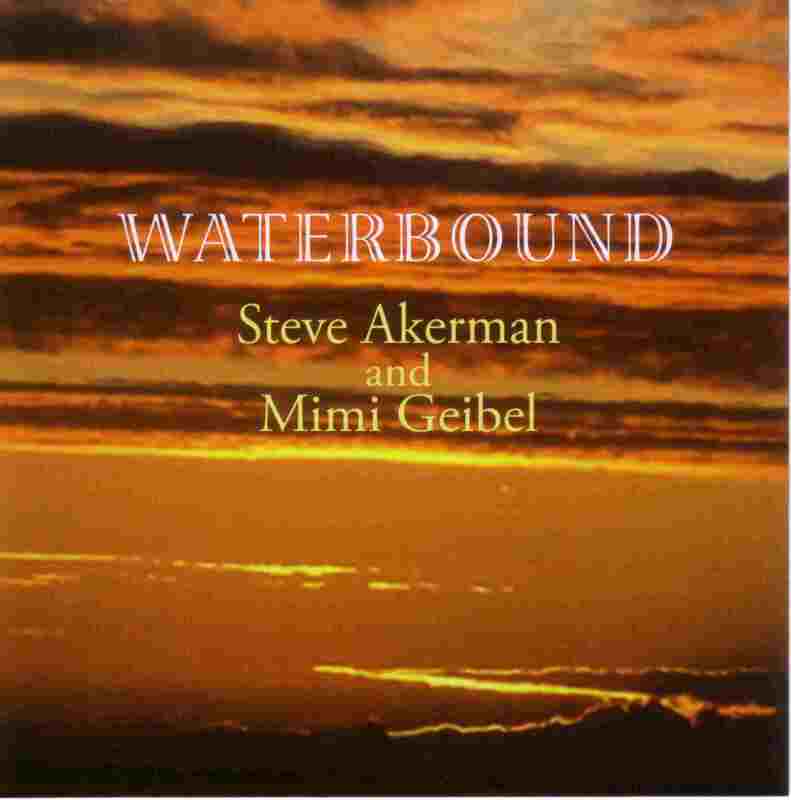 Waterbound is the duo of Steve Akerman and Mimi Geibel conveying the beauty and versatility of their instruments. Their newest CD, "Heartland" showcases beautiful melodies that will take hold of your heart, such as "Road to Lisdoonvarna", "Lover's Waltz", "Far Away" and "Farewell to Whiskey". On this CD, they have also mastered what they call the "Vertical Medley"; tunes that are layered upon one another, bringing forth a new depth and complexity. This can be seen in "Bonaparte Crossing the Rhine" and "Shepherd's Wife's Waltz" and others. While "Heartland" is about the landscape of the heart, their first CD, "Waterbound" is more eclectic with traditional Irish and American tunes with some vocals. But there is just too much good music out there to play, so from time to time Steve and Mimi like to include other touches of music that tickled their fancy, a bit of blues, a swig of swing and a smidge of folk. Known as the "Swiss Army Knife of Acoustic Music", Steve has added his mandolin and violin to every conceivable genre of music. His talents have been seen with Constellation's Crew, Bold Horizon, JW Sparrow and the Civil Servants, just to name a few. With Waterbound, he showcases his amazing talent on the mandolin, octave mandolin, Irish (tenor) banjo, violin and now, his new viola. Mimi has been called "one of the NW's autoharping treasures". Knowing people's puzzlement over her instruments, she demonstrates the versatility of the autoharp and gives people a new appreciation for a truly American instrument. Mimi usually brings 4 of her specialty diatonic 'harps that help to perfect that special Celtic sound. Sometimes Mimi adds a tenor guitar or ukulele to the mix just for fun. She can also be found in Constellation's Crew. In truth, it is possible for this duo to show up with 12 different instruments and still have left some at home! In their everyday lives, Steve works for the King County Prosecutor's Office and Mimi is a wedding planner.